The way to avoid needless bad choices in the grammatical structure of your writing is not to learn a short list of things you must always avoid; it's to be sensitive to what's a good idea and what's a bad idea, on a basis of knowing the difference. 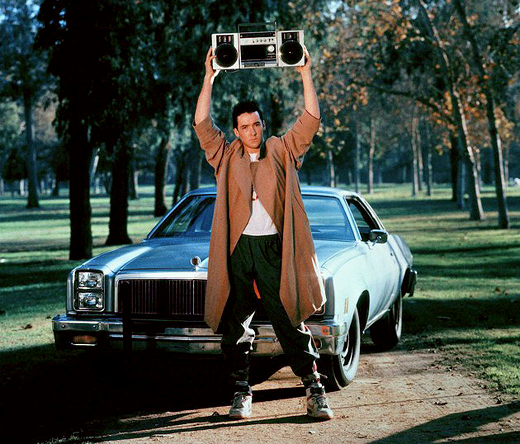 If both people are into each other, a big romantic gesture works, like Lloyd Dobler holding up the boombox outside Diane Cort's window in Say Anything. But if one person isn't into the other, the same gesture comes off serial-killer crazy, or … Dahmer. For the most part, the references I find tie directly back to the TV show episode, so it feels like the term hasn't broken out on its own yet. A post on the Glamour blog, after reviewing where the term originated, asks a question that comes the nearest I've found to a generic usage: "Ever have a Dobler? Or a Dahmer?" It's possible that Dobler-Dahmer is just too tied to pop culture to be able to become a standalone term. And even then, I suspect that it would only apply in romantic contexts, tho it seems to me that Dobler-Dahmer captures a phenomenon that applies to many interactions, not just romantic ones. Fun fact: there's a band named The Lloyd Dobler Effect. For this week's unexpected etymology, we have a couple of words from the navy. The first is head, in the sense of bathroom. This came up in a conversation in which we were talking about the euphemism treadmill, in which a euphemism takes on the taboo nature of the term it replaces. The canonical example is toilet, which began as a euphemism but is now no longer said in politest society (in the US, anyway). Anyway, in the navy they say head for bathroom. Wherefore? We speculated that head seemed to represent the wrong end of things in a variety of ways. (Hold that thought.) 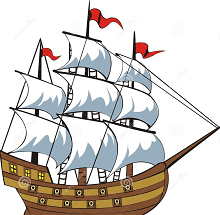 But that's because we apparently don't know our ship-building history: the, um, facilities in olde-tyme ships were indeed at the bow of the ship—the front, aka at the head of the boat, where sailors did their business to the side of the bowsprit. (No accommodations for ladies were required, since women were not allowed on ships.) The OED has the term in this direct sense of an on-board bathroom going back to 1712, and as a generic term for bathroom going back to the 1920s. You might be wondering: while we were discussing ships and bathrooms and how head seemed like the wrong end, did anyone make a joke about the poop deck? I forget, and yes, I'm going there. It's innocent enough, tho: this came from a French word for the stern of a boat, which is where you'll find the poop deck. Well, where you used to in the age of sail … as I have very recently learned, the mechanisms and functionality that the poop desk was designed to accommodate—like the wheel—are now on the ship's bridge. Which might be another word whose origins we could speculate about, but enough for today.